If you are looking for a hot tub electrical wiring company, you are in the right place. We can hook up your hot tub fast and for an affordable low price. Don't settle for any random handyman or electrician when it comes to hot tub wiring and installation. Improper wiring and hookup can be very dangerous and lead to all sorts of problems. Electrical work is one of those things where you need to make sure you are dealing with professionals. Our electricians are licensed and have the knowledge and experience to make sure everything is up to code and wired the way it should be for maximum safety and efficiency. Our electricians will show up on schedule and hook up your hot tub in a timely manner so you can start using it as soon as possible. We can add extra outlets and plugins, and run wiring as far as needed to reach your hot tub area. We have extensive knowledge and experience with hot tubs, jacuzzis, pool electrical work, spa electrical work, GFCI breakers, etc. All you need to do is fill out our simple contact form, briefly describe your hot tub electrical installation needs, and we will get back to you promptly with a free custom quote for our services. 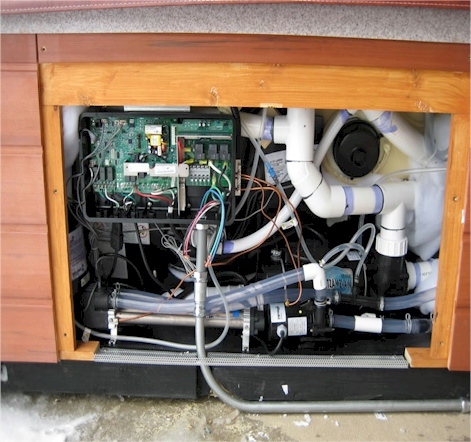 Hot Tub Electrical Wiring - Select your State.